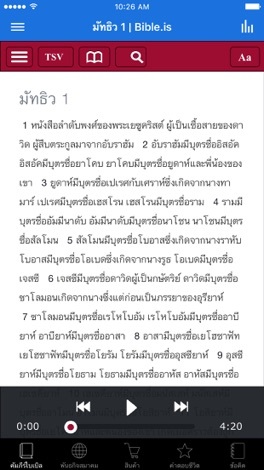 Welcome to the official Thailand Bible Society Application for the iPhone, iPod touch and iPad. Now you can read, listen, and share God's Word in Akha, English, Karen Pwo Northern, Khmer Northern, Lahu, and Thai. 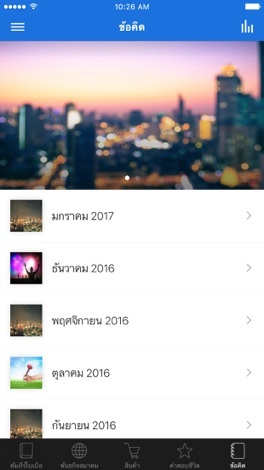 Carry the Bible App from the Thailand Bible Society wherever you go.